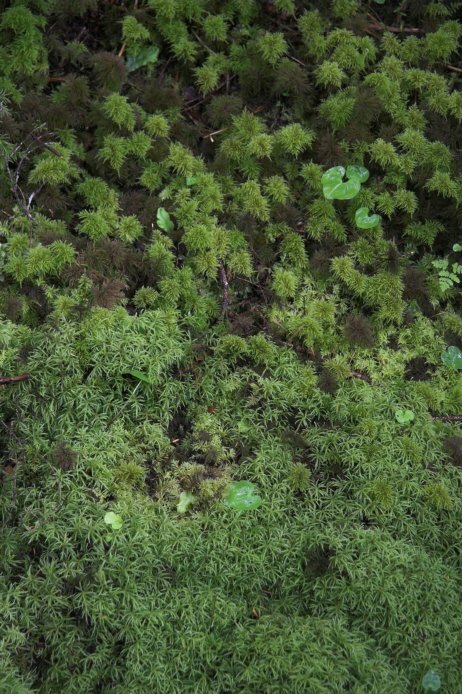 There are two different species of moss that form the bulk of the ground cover in this photo. The light and dark mosses in the upper portion are the same species, Pleuroziopsis ruthenica. The moss in the lower section is Leucolepis acanthoneuron.